On January 1, 1502, Gaspar de Lemos arrived from Portugal to Brazil and entered Baia de Guanabara, which was inhabited at the time by Tamoio populations. 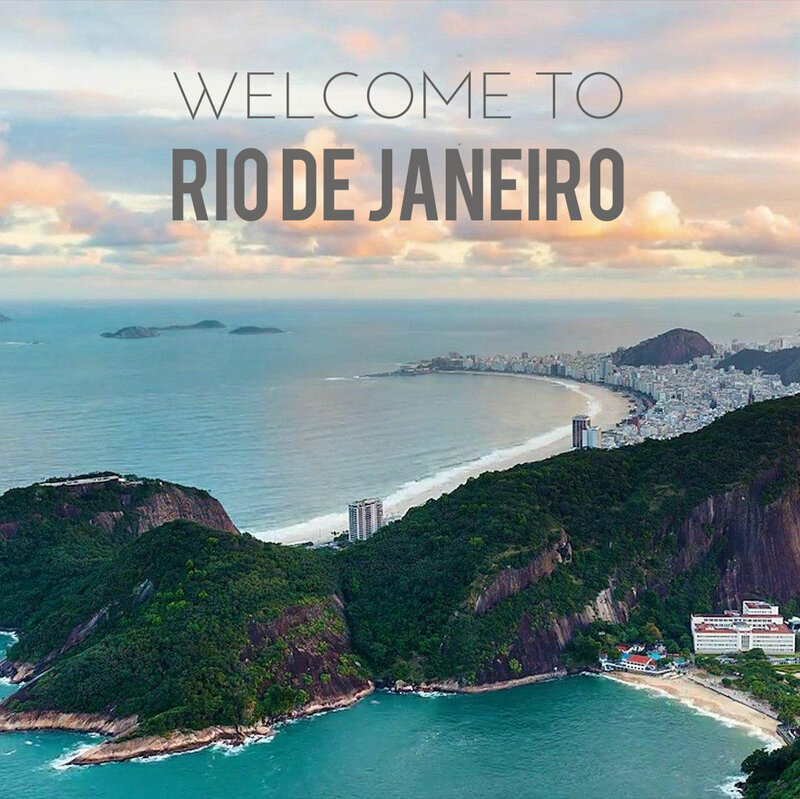 Confused the bay with the mouth of a river or watercourse and gave it the name of Rio de Janeiro – the River of January. The French have done an outpost here too, in 1555 for the sale of timber and formed an alliance with the Tamoio tribes against the Portuguese, but were removed in 1567. Tamoio tribes were also expelled from the region by the Portuguese who founded the settlement of Sao Sebastiao do Rio de Janeiro. Until the 17th century, Rio became an important place in Brazil, here being brought slaves from Africa to work on sugar plantations and later in gold mines in Minas Gerais. These gold mines proved to be so profitable that further increased the importance of Rio de Janeiro, as the gold and diamonds in Minas Gerais arrived in Rio. 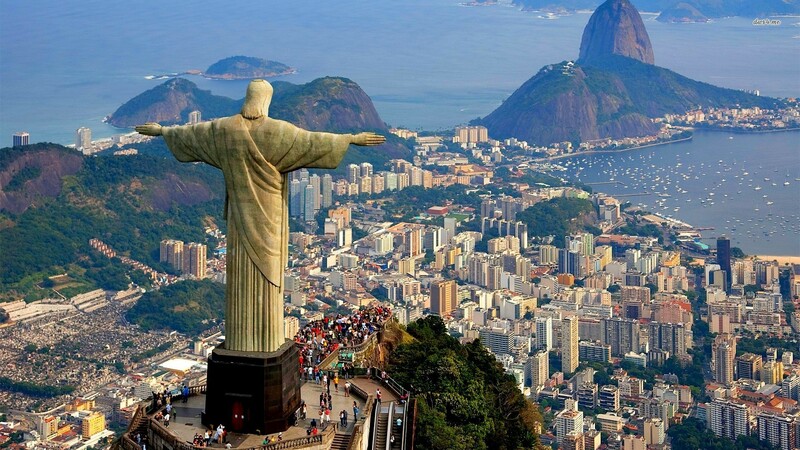 The growing importance of the town was officially recognized when the capital was moved from Salvador, Bahia to Rio. The wealth brought to Rio by the transport of gold transformed the social structure giving rise to a free working class, in contrast with the classical structure of colonial settlements based only on master-slave relationship. Before Napoleon’s invasion of Portugal in 1808, the monarch and his court that counts 15,000 people, have boarded the ship and started to travel to Brazil. Subjects overseas celebrated the arrival of the sovereign when he took over Brazil from his viceroy. Eventually, Dom Joao became the king of Portugal, but because of his love for Brazil, remained here and declared Rio the capital of the new Kingdom of Portugal, Brazil and Algarve. With the independence of Brazil in 1822 came the decline of gold production and export. Work and all efforts were directed towards a new product: coffee. Coffee production and trade have led to the development of other sectors such as railways, necessary for efficient transport. Railroads have tight connections between cities and led to greater economic gains. However, in 1889, Rio coffee industry suffered a strong decline due to problems with soil erosion and slavery addiction . From here started a significant downturn that has made Rio lose the importance of policy in favor of cities like Sao Paulo and Minas Gerais. Towards the end of the 19th century, the city’s population grew extremely fast, mainly because of the immigrants from Europe and even due to internal migration. In1891 Rio included a population exceeding half a million. The city continued to grow and expand fast in the next two centuries, in this process even being removed mountains or rise building in bay waters and being rise avangard skyscrapers. The period between 1920 and 1950 is considered the golden age of the city Rio de Janeiro. Oligarchy composed by Sao Paulo and Minas was interrupted and Rio de Janeiro flourished economically by building steel factories, shipyards and an impressive leap in the oil industry. During this time it became an exotic destination with luxurious hotels where celebrities from around the world come to enjoy the local entertainment or to play at casinos in the city. Rio remained the political capital of Brazil until 1960, year in which was inaugurated Brasilia and institutions were transferred to the new capital. And today is also discussing whether Rio was affected or benefited from the move of the state institutions to the new capital. In the 60’s were built many skyscrapers, but at the same time , many of the beautiful buildings of the city have been lost forever. In the same period favelas of Rio grew and gained size that are hard to imagine, immigrants continued to flood the city, coming from poor areas in the north and within the country. The poor population of Rio de Janeiro has become increasingly large, this increase bringing with it an increase in crime and violence too. From 1964 to 1985, Brazil was a military dictatorship, but was a tumultuous period of many protests, like the one in 1068 when 100,000 people started a march towards Palacio Tiradentes. Military regime that everyone opposed , including Rio politicians , fought by restricting federal funding. This lack of funding has led to a deterioration of infrastructure of Rio de Janeiro and at standards of living much lower, generally. Today, Rio is financially stable and has found creative energy that led to its earlier development, and major development projects have found funding. It became a center of services, financial center and a center of light industry. Appeared the integration projects of favelas in the rest of the city by adding the minimum hygiene conditions through sanitation and electricity as well as schools, hospitals and community centers. Have been initiated projects of restoration of colonial buildings, which along with other beneficial measures resulted in attracting new business to the city. Cultural life in Rio revived too, and the Carnival in Rio is one of the moments that the city in the festive spirit get in the attention of the world.